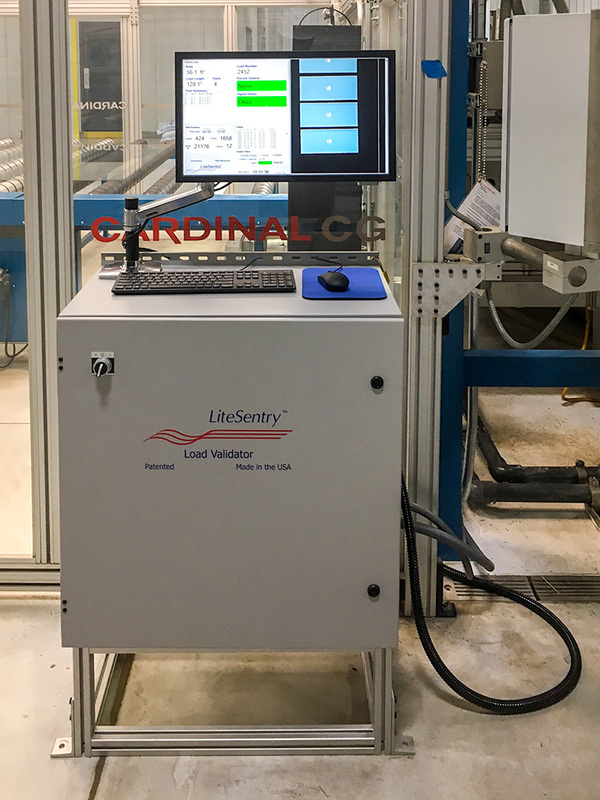 The Load Validator by LiteSentry detects fault conditions in glass sheets and in load geometry prior to expensive, value-adding continuous processes. A key element of a comprehensive quality inspection system, the Load Validator provides accurate, repeatable, consistent measurement of glass size, load size, and critical fault conditions likely to cause glass breakage and line interruptions. The Load Validator is installed on the production line prior to critical continuous processes, such as high vacuum coating systems or washer stations preceding tempering. Real-time, 100% inspection collects, analyzes, and reports out data on every glass sheet. Detection of non-conforming loads or defective glass triggers alarms that stop the conveyor system, preventing the defective material from furthering processing.